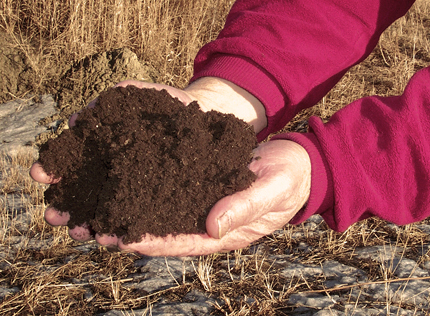 Edmonton’s organics processing program uses the organic portion of the waste collected in combination with biosolids (treated sewage sludge) to create compost, a rich soil supplement. 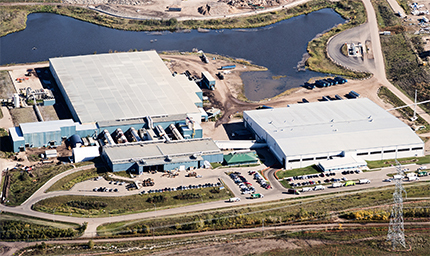 The key operations for processing organic waste currently take place at the Edmonton Composting Facility. This process will be complemented in the near future by the addition of an Anaerobic Digestion Facility. This facility will expand the City’s organics waste processing capacity and contribute to the goal of diverting 90% of waste from landfill. 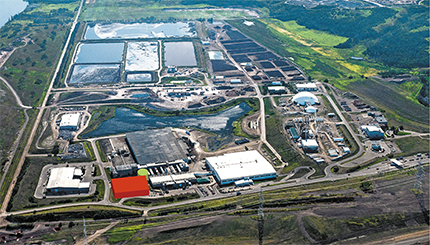 Located at the Edmonton Waste Management Centre, it will complement the existing organics processing done at the Edmonton Composting Facility. This facility is a partnership between the City of Edmonton and the University of Alberta. It will allow both partners to increase their waste diversion rates and continue reducing greenhouse emissions from their activities. Emissions Reduction Alberta (ERA), with a mandate to identify and accelerate innovative solutions that secure Alberta's success in a lower carbon economy, also committed funding to the project. The construction of the new ADF is now complete. The facility is currently in the commissioning phase, processing organic feed stock from municipal solid waste and generating biogas. It will be fully operational in early 2019. When you put your residential organic waste in the garbage, it gets collected and taken to the Edmonton Waste Management Centre where the organic portion is separated from the rest of the garbage and turned into compost.